Memorial Bike Ride on Sept. 30th! Come join us for the Fourth Annual J. Terrence Farrell Memorial Bike Ride, which will beneift Variety’s “My Bike” Program. You can register for the bike ride by clicking here. 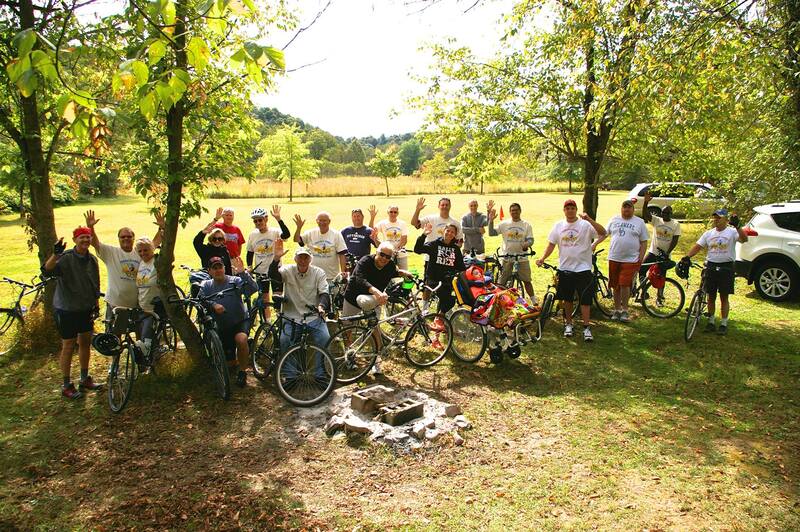 A group form last year’s event are pictured above – what a beautiful day! 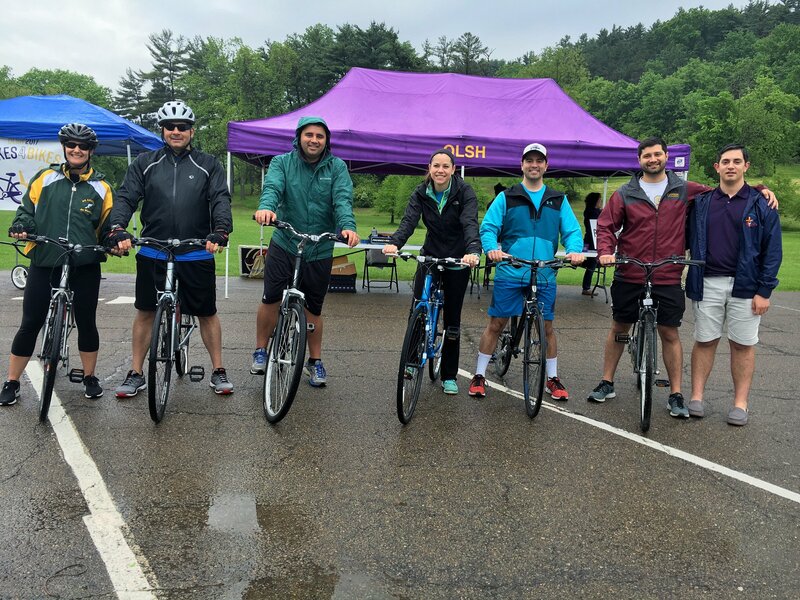 As a long-time member of the McKeesport Lions and local attorney, each year Mr. Farrell’s “Bike for Sight” raised thousands of dollars for local charities. 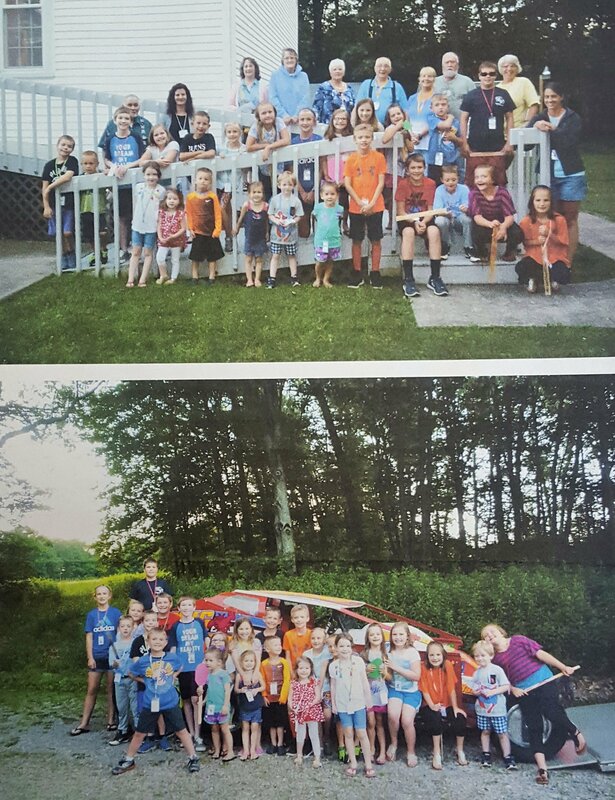 The funds from last year’s event were distributed locally to the McKeesport Regional History and Heritage Center, the Carnegie Library of McKeesport, the Mon Yough Trail, the Mon River Fleet Lions Club, Friends of the Riverfront, Variety the Children’s Charity, and American Heart Association. 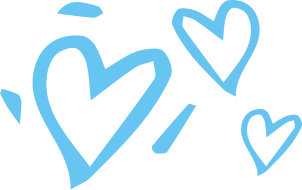 For questions regarding this year’s event, please contact Belinda O’Keson at (412) 678-7126 or via e-mail at okeson2210@comcast.net. For updates on this annual event, please check out their Facebook Page. Regional Bartender Championship Gives Back! On Wednesday, August 16th, TGI Fridays brought in their top eight bartender finalists to flip, shake and pour in front of four judges as they battled with their mixology skills for the regional title – all to raise funds for kids with disabilities! This year’s event was held at the TGI Fridays in the Waterfront. 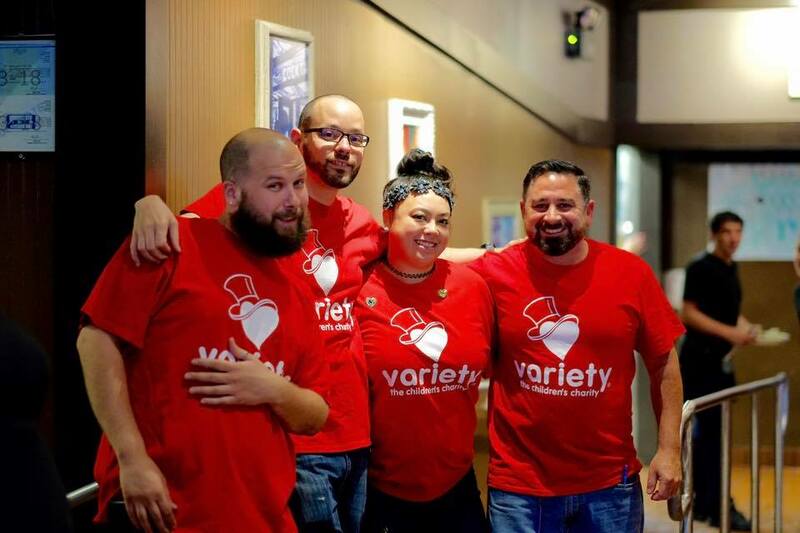 Four of the bartender finalists are pictured above in their Variety t-shirts prior to the championship. 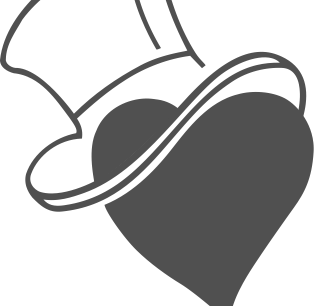 In total, nearly $1,500 was raised for Variety kids, and we couldn’t be more grateful for it! 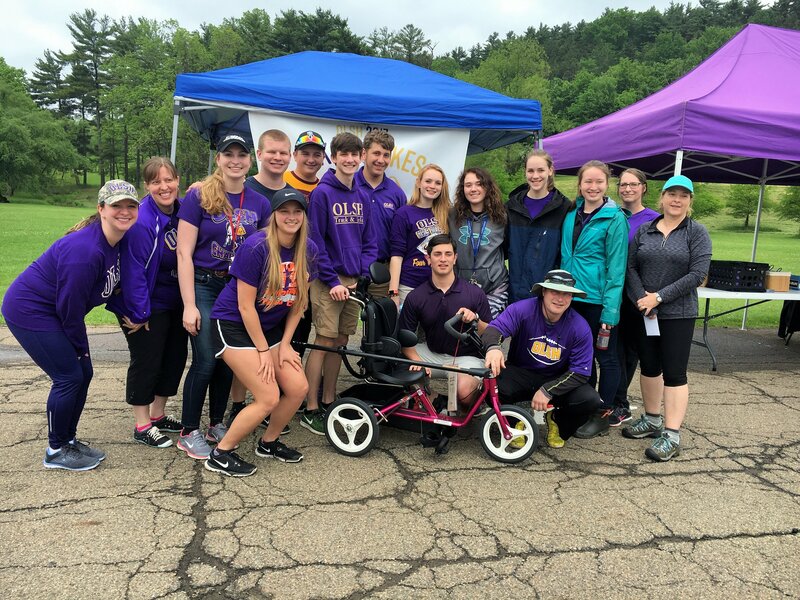 OLSH’s “Bikes for Bikes” A Success! More than a year ago, Our Lady of the Sacred Heart High School student, Chris decided that he wanted to give back to his community in a bigger way by organizing a bike fundraiser. 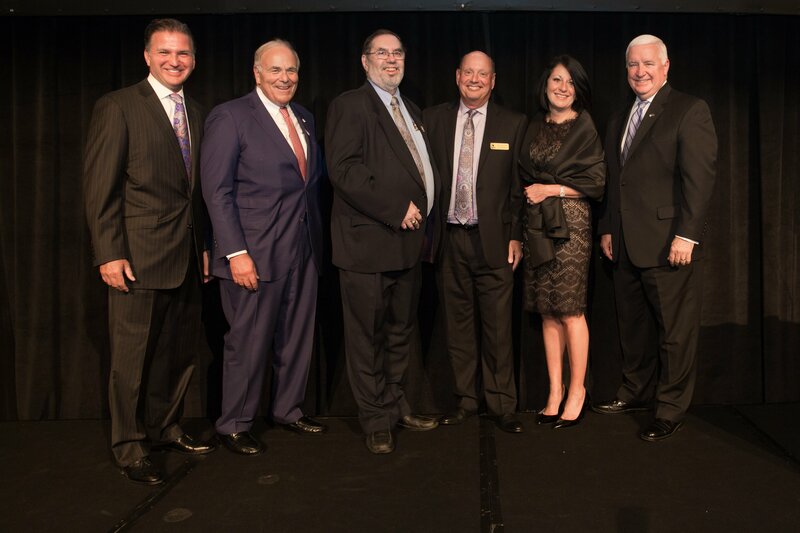 He soon decided that funds from the event should benefit Variety’s “My Bike” Program, dubbing the event, “Bikes for Bikes” — it was a perfect partnership. Chris spent the next year planning the event, which included solicited larger donations from those within the community. The event took place on Saturday, May 27, 2017 in North Park, and it was a sincere success. 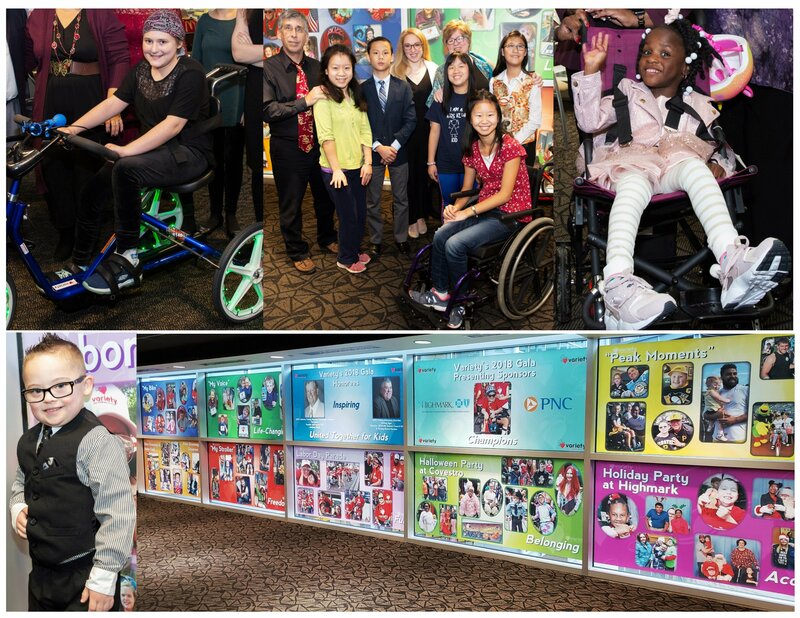 In the end, Chris made it possible for 3 more kids to receive an adaptive bike by raising $5,400! 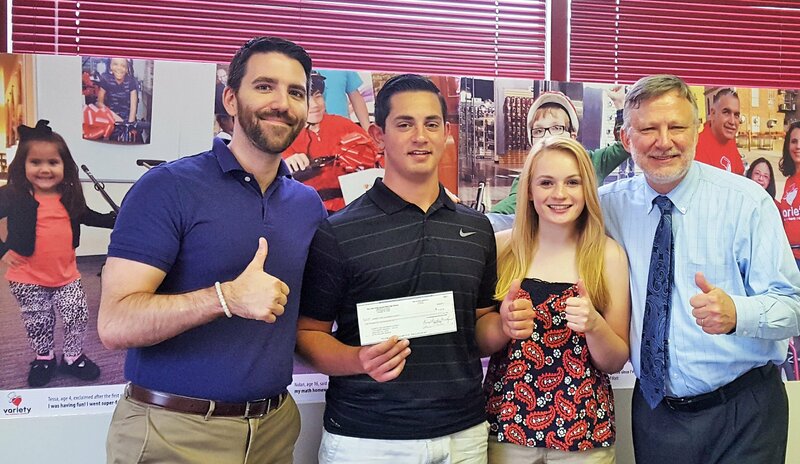 OLSH graduates Chris and Rachel present Variety’s Charlie and Zach with check. 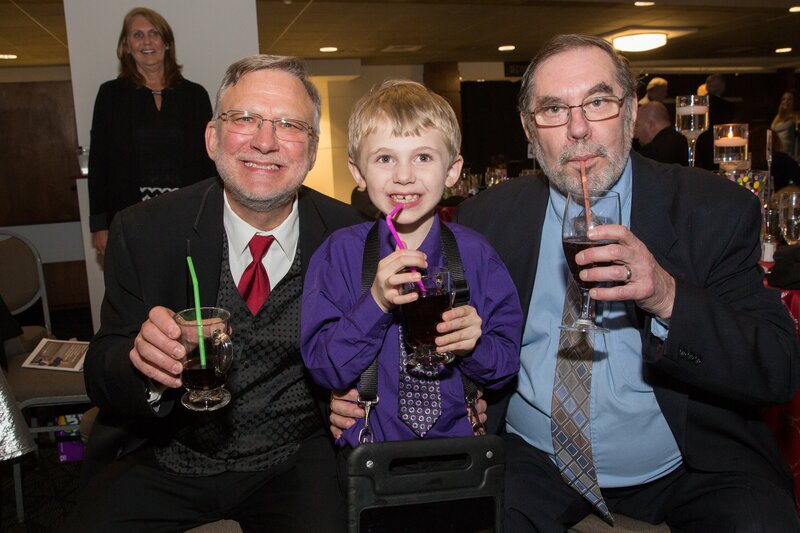 Chris took his desire to give back and turned it into action that will change the lives of three children with disabilities, who will now have the chance to ride a bike with friends and family, and feel just like any other child. Attendees pose around a demo bike at the event! Variety is so proud of what Chris accomplished and grateful for his support, and we are looking forward to continuing OLSH’s “Bikes for Bikes” event long into the future – again, something that began with an idea that Chris had to give back. Event attendees preparing to ride! This was the slogan used for a recent fundraising campaign coordinated between the University of Pittsburgh’s Department of Housing, Food Services, and Panther Central, and IUOE Local 95 members. 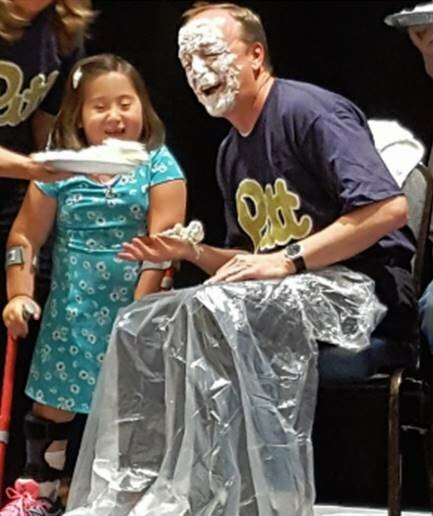 The campaign’s great success to raise funds for a handful of adaptive bikes was celebrated on Tuesday, June 6th when several of the University’s executives got pied, as was promised by Assistant Vice Chancellor of Business, Jim Earle one year ago. Assistant Vice Chancellor Jim Earle is pictured above getting pied by bike recipient, Gabby. 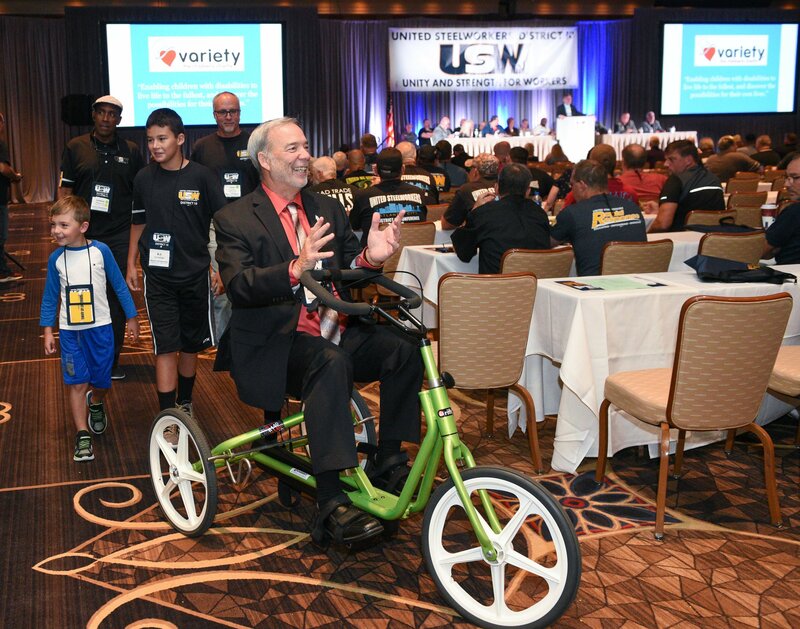 In total, Variety presented 8 adaptive bikes during the June 6th presentation that was held at the University of Pittsburgh. It included a full house of staff attendees and others from the community to watch the pieing event and cheer on the kids, who took their inaugural ride on their new bikes! 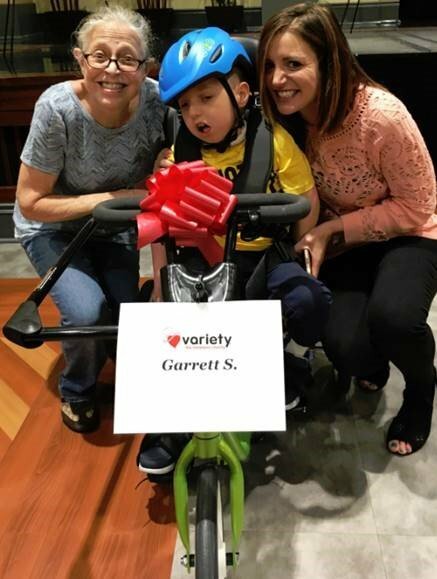 One of the bike recipients was Garrett, who also received an adaptive stroller through Variety in December 2016. His mother, Laurel gave voice to the incredible impact that the stroller has had on their family since receiving it. Garrett is pictured above with his grandma and mom on his new adaptive bike! She said, “This stroller has meant so much to our family. Garret is getting heavier and is very hard to transport. Right now, I’m a single mom and it has basically allowed us to leave the house. This has helped us so much with just being able to go get ice cream, go for walks because I don’t know if you know that wheelchairs are very, very heavy. He loves it too because he can move himself, which he can’t really do too much on his own. We dance with the stroller and do so much with it, and it’s just the best gift that we’ve had. Ever since we got it, we’ve gone to do a lot more things, we’ve got to explore, and it’s even helping him with range of motion with his arms, and all kinds of things that we couldn’t do before. Garrett’s grandmother, also named Laurel, highlighted what the stroller has meant for her, “I can’t push the wheelchair. We even have a ramp for the house, but I can’t get the wheelchair in and out. The stroller I can easily get in and out, so when I’m watching Garrett, we can go for walks, we can go out in the yard… it’s just a lot of freedom. 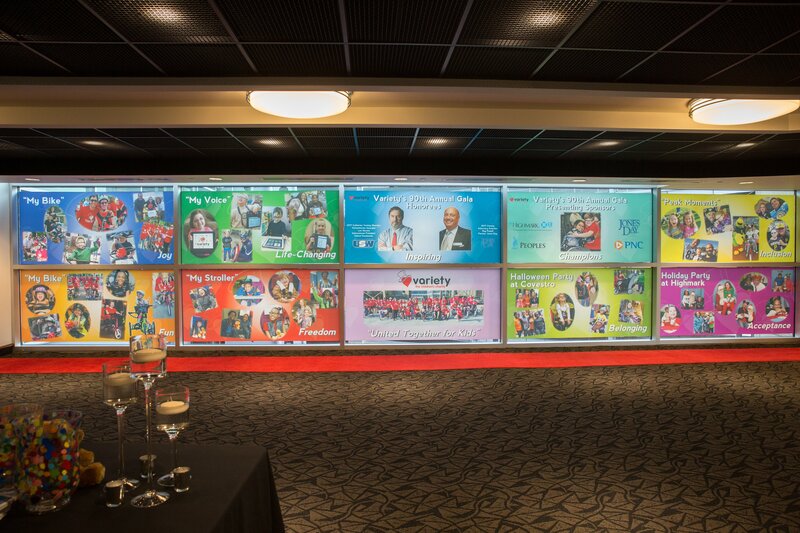 Variety could not be more grateful to everyone who made this memorable event possible, and gave freedom to 8 more kids at the start of the summer season!